Belle Maison offers professional home staging services for those selling their home, and design services for people who are moving into a new home and need decorating inspiration and assistance. We also offer design services for those who would like to transform spaces in their current home. Our trade discounts allow us to offer competitive pricing on a large selection of furniture and accessories. We serve the greater Charlotte area in both North and South Carolina. We Listen. We create. August Interiors works with home owners, realtors and investors to strategically and artfully arrange homes in preparation to sell. We aim to accentuate architectural and spatial features to allow buyers to create a positive emotional, personal, and genuine connection to the home using unique, creative, and functional design. We do this through extended research of each neighborhood and home architectural style to ensure proper and effective interior design of each property to suit the potential buyers for every home. We are focused on creating maximum space and proper furniture placement to allow for an understanding of the home's functional uses. We incorporate the design elements of effective lighting, color, comfort and functionality. We specialize in Home Staging® services for residential real estate. My goal is to reduce the number of days on market and monthly carrying costs for my seller while helping him or her achieve the highest possible sales price regardless of the market. Cathy Reed, owner of CR Design LLC, provides experienced home staging, professional organization and interior design services in the Charlotte metro and surrounding areas. Cathy has always been artistically talented, though she pursued a business career early on, art and design have always been on her mind. Now she brings that business acumen and design savvy together to help both staging clients maximize their listings as well as home design clients their homes with their updated furnishings and design. For our home staging services, we know most home buyers make up their minds within the first 10 minutes they walk into the house. We make your home with our staging the one they remember. Whether you are a builder, real estate agent, or looking to maximize your own home's listing, we can help make the most of your home's sale with our staging services. Our design services range from full-service design to smaller components like art and furniture selection and sourcing, color consultation, lighting design and selection, material selection, and more. Additionally, we are well-versed in a variety styles and partnering together with you to provide the design and style perfect for you and your home. We pride ourselves on our reputation, level of service, and ability to bring your dreams and goals to life. Give us a call today so we can begin your next project together! The award-winning Carolina Spaces team offers home staging, model home merchandising and interior design services to create a property that stands out against the competition! Please contact us to learn more. J. Mozeley Interior Design/Decorating, Staging, was established by owner and Certified, Award Winning Interior Designer Julian Mozeley. Julian resides in North Carolina and graduated with honors from the Art Institute. She has collected over 16 years of published, award winning successfull designs for her clients in the Design, Remodel & Staging of their homes. Our Professional team members provide experience and specialized skill sets in a variety of areas including: Finishing carpentry, Custom Drapery and Window treatments, bedding and pillow designs, furniture re-upholstery, expert painting and wall covering specialists, and personalized interior design/staging for the discerning client. Give us a call today to schedule your consultation! 704-966-1223 or julian@jmozeley.com We look forward to hearing from you soon! The process of getting your home ready to sell can be an extremely daunting task. Home staging can provide assistance when you need it most. The team at Creative Home Stagers is here to help, we can do as much or as little as you need us to do. We will “stage” your entire home both inside and out including painting, de-cluttering and depersonalization as well as, finishing all those little projects you never had time to finish. Creative Home Stagers specializes in using many of the items you currently own, so there is no need to spend a fortune buying new furniture. We have solutions that will help each room, whether that is by renting furniture or repurposing pieces from another area of your home. We will ensure your home is staged to perfection. I am an Accredited Staging Professional® (ASP®) with the skills and experience to help you sell your property as quickly as possible and for the highest price possible. I work with Realtors® and Sellers to prepare occupied and vacant homes for sale in the communities surrounding Charlotte and Union County. I will work within your budget to place your home in the best showcase condition. I also specialize in Staging for Living and Room Redesign services for clients moving into new homes or desiring to breathe new life into their current decor. I am focused on providing staging and redesign services with the highest level of client satisfaction & will strive to meet your expectations. Please feel free to contact me if you have any questions about my services. 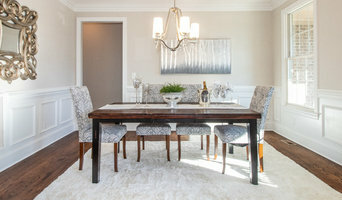 At Home Stage Carolina, we provide affordable home staging and redesign services to homeowners, Realtors and investors. We will work with you in transforming your vacant and owner occupied properties, turning them into warm and welcoming spaces making them more inviting for both selling or living. Our goal is to highlight your home's positive features in the most pleasing way possible. Today's real estate market is extremely competitive. In order to be successful and to maximize your home's value, sellers must first create a "show ready" property so potential buyers will feel at home and want to move right in. After first taking the time to declutter, depersonalize and streamline your home, you then want to add all the right furnishings,art and accessories to create a property that will engage potential buyers the moment they walk in the door. Staging has been proven to sell homes up to 80% faster and closer to asking price. With over 90% of all buyers looking online before actually visiting a house, pictures of a well staged home could make the difference whether a buyer chooses to ultimately view it in person or not. Buyers will typically decide within seconds what level of interest they have in your property. Staging is typically much more effective and less expensive then your first price reduction. Our goal at Home Stage Carolina is to help you market your home by unlocking it's full potential and minimizing days on market or staging to live by re-designing a room or rooms that might just need a little updating. Full service Home Staging for both vacant and occupied properties and Interior Design and Re-Styling services. 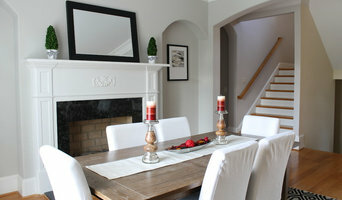 Bella Staging & Design is a professional Home Staging and Redesign company. Our clients are homeowners, Realtors, builders and investors looking to increase the competitiveness of their properties for sale. Home Staging services have been proven to be a successful marketing tool that work for any home regardless of size, style or location. The professionals at Bella Staging & Design will help transform your home into a competitive product giving you the best advantage for a quick sale at the highest price. BEST OF HOUZZ.. ASK US HOW TO HAVE YOUR HOME STAGED FOR FREE!! Interior Design services and Premiere Home Staging and full service merchandising for the Real Estate Industry as well as custom residential projects. Offering design specifications and design services for spec home builders, developers and private design projects. I am a realtor and home staging professional in the Lake Norman area. I will work with you to prepare and list your home to receive the most return on your most important investment. As your house sells quickly I can assist in the purchase of your new home, helping you to see the full potential of each space. Connecting with and listening to clients is the key to my business, and providing professional service is my ultimate goal. What does an India Hook home stager do? 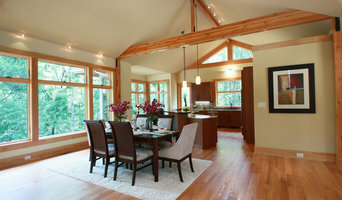 Home staging companies in India Hook, SC employ a variety of different techniques to present the home in the best light possible. The first step will likely be to make sure the home is impeccably clean, including the exterior of the house. Next the home stager will work on removing the personal touches that are unique to the current owners. Paint colors might go from dramatic reds and purples to neutral tones like beige and taupe, in order to appeal to the masses. The home will likely be cleared of family photos, risqué artwork, collections and knickknacks, so potential buyers will be able to better envision their own life in the house. In some cases furniture will be swapped out, and you might not even recognize your own house. Some India Hook home stagers tackle most of these tasks themselves, while others work with subcontractors and other professionals to get the job done. Here are some related professionals and vendors to complement the work of home stagers: Interior Designers & Decorators, Photographers, Real Estate Agents. The process of staging a home can be difficult for some homeowners, especially when being asked to change things you’ve poured your heart and soul into over the years; but try not to take anything personally, as the stager only has your best interest in mind and no intention of insulting your personal taste. Before you contact a professional home staging company in India Hook, SC, make sure to consider a few things: Are you willing to change your home and take the advice of this professional to help sell your house? Do you think your house would greatly benefit from the help of a stager? How long are you comfortable having your home on the market? A staged home is likely to sell faster and, on occasion, at a higher asking price than a non-staged home. While there is no guarantee this will always be the case, it’s often true and can make the entire selling and moving process a lot less stressful in the long run. If you are selling through a real estate agent, it’s a good idea to get their opinion on whether staging your home would be beneficial to your specific situation. Find a certified India Hook home stager on Houzz. Narrow your search in the Professionals section of the website to India Hook, SC home stagers. 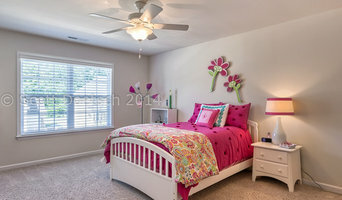 You can also look through India Hook, SC photos by style to find a room you like, then contact the professional who staged it.